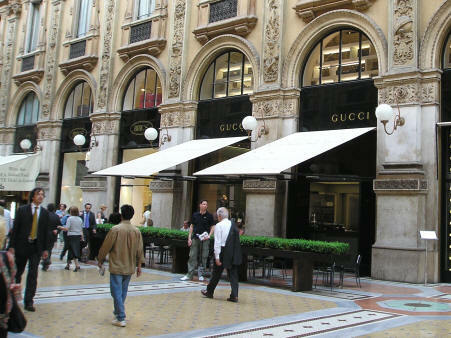 Milan Italy is known as the world's fashion capital. Visitors come from around the globe to purchase the latest fashions. The most famous shopping mall in Milan Italy is the Galleria Vittorio Emanuele II. Conveniently located next to the Milan Cathedral, the mall features Italian fashion, shoes and a number of top restaurants. The area situated between Via Montenapoleone, Via della Spiga, Via Manzoni and Via Sant'Andrea is Milan's famous fashion quarter.